The saga of the $2-million-dollar, single-copy Wu-Tang Clan album Once Upon a Time in Shaolin and its unholy buyer—big-pharma Patrick Bateman wannabe Martin Shkreli—is now a year-and-a-half old. The story: The Wu decided to make an album and sell only one copy to the highest bidder, with the stipulation that its music could not be commercially released for 88 years. A private broker facilitated the sale in 2015, and the highest bidder was Shkreli, who at that time was only just becoming part of the news cycle thanks to jacking up the price of HIV drugs by more than $700. Chaos ensued after the public revelation of his purchase of the rare Wu album. Among many other things, Shkreli threatened RZA and, in bizarre videos, Ghostface Killah, and also threatened to leak the whole album if Donald Trump was elected president. So far, the latter has not happened, but Shkreli did air snippets of several of the songs via Periscope on November 9. A new book by Cyrus Bozorgmehr, the advisor for the Once Upon a Time in Shaolin project, is devoted to telling the story of this grand misadventure in 288 pages. Titled Once Upon a Time in Shaolin: The Untold Story of Wu-Tang Clan’s Million-Dollar Secret Album, the Devaluation of Music, and America’s New Public Enemy No. 1 (yes), it’s out today via Flatiron Books and is purchasable here, but Vulture has also published an excerpt and some other quotes from the book. The passage explains the genesis of the idea to sell only one copy of the album and prolong its release by nearly a century. The concept, apparently hatched by RZA and a small trusted committee during “a mystical evening atop the Great Pyramid of Khufu” in Egypt, was “to imbue the album with the importance of a painting by a Renaissance master,” Bozorgmehr explains. By all indications, the last statement might not be at odds with the facts of the situation. 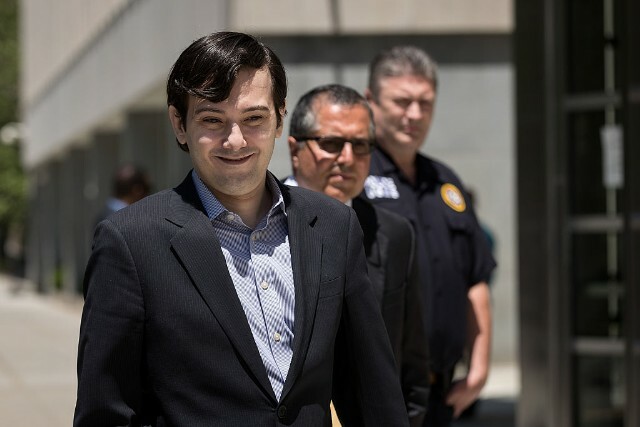 Bozorgmehr also contends that he and the group do not know the figure the amount of money Shkreli bought the album for–that is, whether the unnamed source who confirmed the fee to Bloomberg in December 2015 was correct. Read the full excerpt here. Update: Tarik “Cilvaringz” Azzougarh, the album’s co-producer mentioned in the Vulture article and excerpt, disputes Bozorgmehr’s and Vulture’s assertion that Wu-Team’s team never “confirmed” the selling price of the album. Additionally, he argues that he is the primary architect of the “concept” of Once Upon a Time in Shaolin. @ratsonly cool article, but the concept was hatched by me, not by RZA. It was only later developed further with RZA for public release. @ratsonly and ofcourse we (incl. Cyrus) know the figure the album sold for. We signed for it. Vulture article is 80% off.